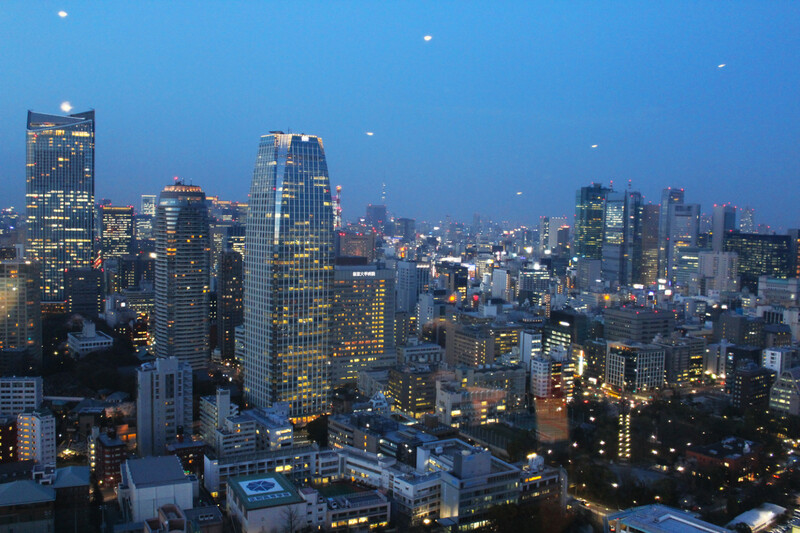 Tokyo is a huge metropolis that doesn’t have a single iconic skyline, it has thousands! And they’re all truly awe-inspiring. The skyscrapers, bridges, waterways and islands create a breathtaking panorama that is instantly recognizable worldwide. 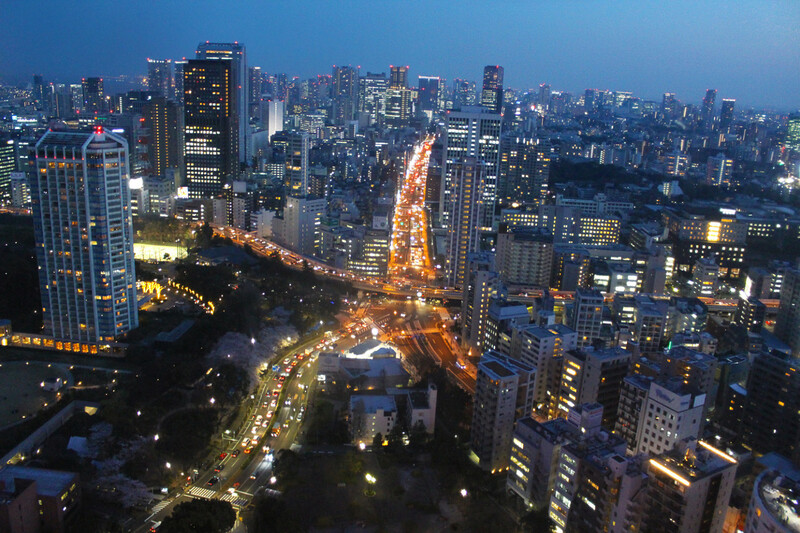 While you can feel the greatness of these surroundings from anywhere in Tokyo, the grandeur of its cityscape is best viewed from above. Skytree is the tallest structure in Japan at 634 meters (or 2,080 feet) and has the two highest observation decks in Japan. The spacious 350 meter high lower deck features wide windows, a restaurant, cafe and various shops, while the 450 meter high upper deck is notable for a glass and steel enclosed ramp that spirals around the building. Both offer stunning unobstructed views out over the city! 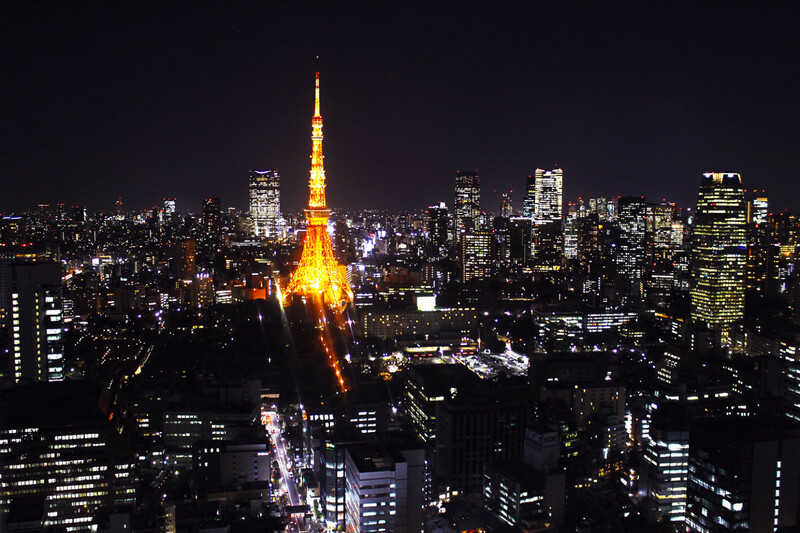 Tokyo Tower was the tallest structure in Tokyo for many years at 333 meters (or 1092 feet). When completed in 1958 it symbolized the rebirth of Japan as a post war economic power. 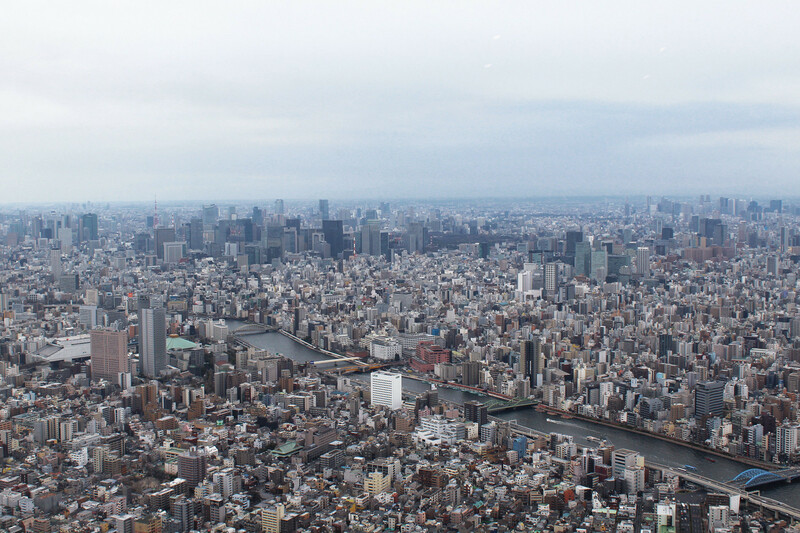 Although Skytree is almost twice as tall, Tokyo Tower is more centrally located and has a definitely a competitive view. 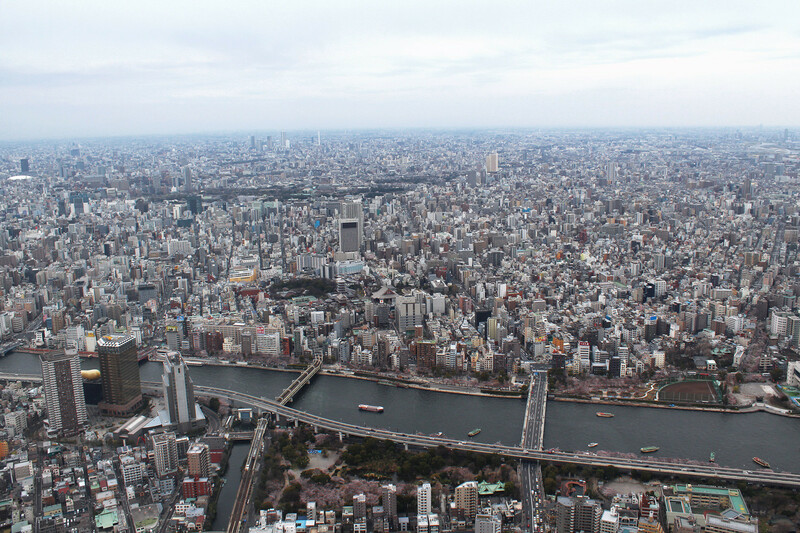 The tower has two observation decks, and both offer views as far away as the Tokyo Skytree and Mount Fuji on a good day, and down over Zojoji Temple below. The touristy lower floors of the tower house a wax museum, aquarium, arcade and souvenir shops. One of Tokyo’s earliest skyscrapers, the 163 meter tall Tokyo World Trade Center was built in 1970 above Hamamatsucho Station. Its recently renovated observation deck is located on the top floor and gives a stunning 360 degree view of the city below. 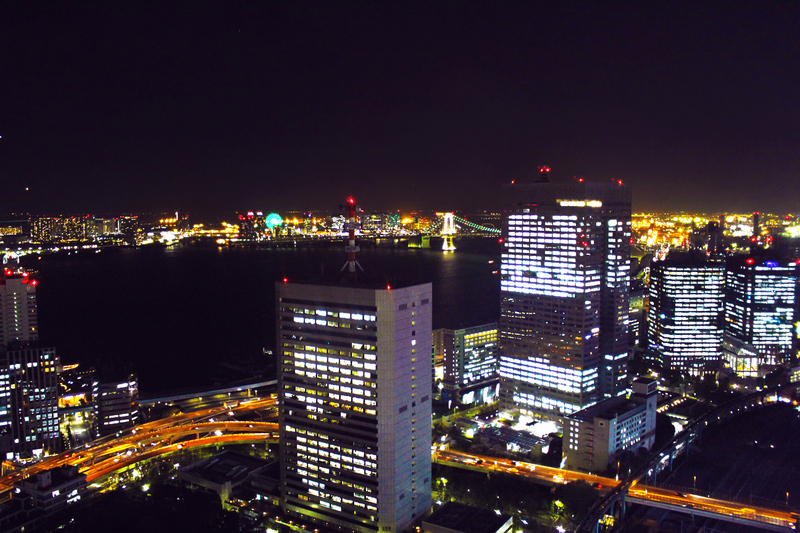 Thanks to its central location, the building offers a particularly vivid panorama that includes views of Kyu Shiba Rikyugarden, Tokyo Tower and Tokyo Bay. 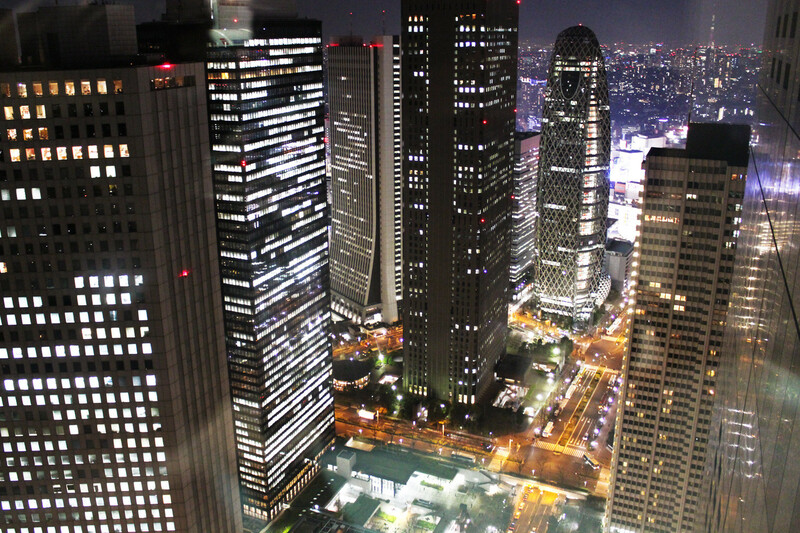 The Tokyo Metropolitan Government Building is the headquarters of the governor and assembly of Tokyo. At 243 meters, it’s also the 2nd tallest building within the city. Building 1 has two observatories (one for each tower) which are open free of charge to the public. 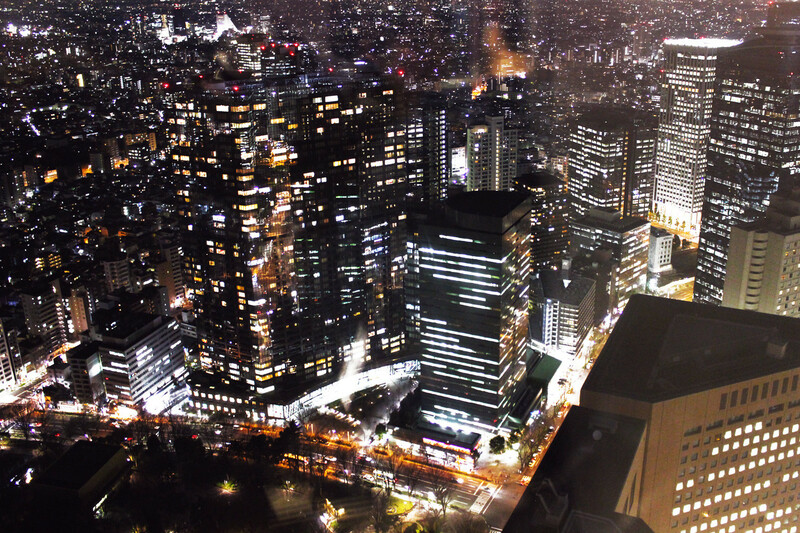 It offers a viewing of the city from the 45th floors, 202 meters above ground. There’s even a cafe that changes into a bar in the evening in the North tower. Little tip: try to reduce the internal reflection from the glass by covering the space between the lenses and the window glass with a jacket or something like that. Are you a sucker for skyline views, too?